Did you know that most burglaries can be prevented? Often burglars don’t even have to force their way into a home as the owner has left the place unsecure – a welcome invitation. Considering that most burglaries are random acts, taking a few simple precautions can prevent your home from being a target. And the solution doesn’t cost as much as you would imagine either. A good security lock can be a powerful deterrent and we’ll help you find the right one to secure your property. 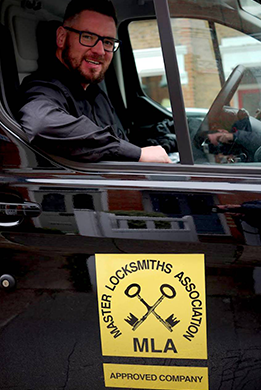 Whether you are looking for locksmiths in Watford, you urgently need a locksmith in Finchley or you simply want to enhance the security of your north London home, our professional locksmiths in London can help you secure your property in the most efficient way. Need a Lock Changing or Replacing? Whether you need to repair a damaged lock, change a lock or fit a new one, our highly trained Locksmiths can help you out. We offer an extensive range of quality products from top brands that you can trust and we’ll not only help you choose the right lock but we’ll also install and maintain it. Front and back doors – These are easy access points that should never be left unsecure – and don’t forget about the back door! There are a number of locks to choose from, depending on the location of the door and the level of security you’re comfortable with. Windows Locks – These need to have their own locks (which are key operated and won’t obstruct the view or interfere with the design) and possibly security grilles if there is a section which could be an easy entry point. Patios Door and French doors – These might not be the main entrance to the house but they offer alternative access for burglars and should both be installed with key operated locks. Garages and outbuildings – These areas often contain a wealth of equipment and supplies for burglars, like tools, ladders, garden equipment, etc, and should always be protected with padlocks or a high security garage door lock such as a Garage defender. Cupboards – These should be treated like safes if they contain valuable items. Filing cabinets – They often contain confidential information and should always be secured with a lock or padlock. We stock every type of lock for maximum security. You’ll probably be surprised at the wide variety of lock types on offer. We can talk you through the different options and recommend the one to best suit your needs. If you’ve just redecorated your home or moved into a new one and you’re worried that a lock might ruin the look, you have nothing to fear. Visit our Security Accessories page where you’ll find beautifully designed products which enhance security without detracting from the decor. Keyed alike – allows a number of locks to be operated by the same key. We use lock brands you can trust. When dealing with the safety and security of your home or business, you can be sure that we have your best interests at heart. We are specialists in door and window security locks installation. You can rely on our professional team of locksmiths because we believe that this is more than a job; this is your security. Call us today on 07947 426 981 to book your free security survey or phone us for an emergency call-out and our emergency mobile team will be sent out immediately.